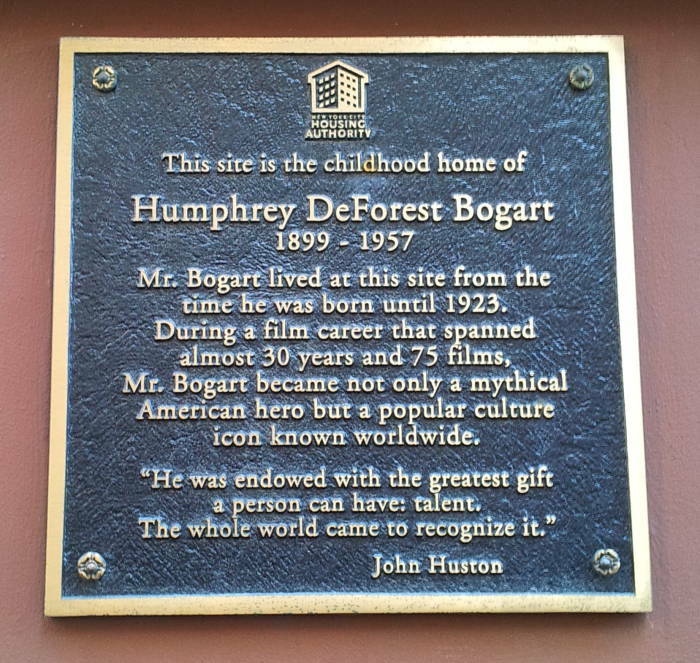 Humphrey Bogart was born on Christmas day in December 1899, and lived at 245 West 103rd Street on the Upper West Side of Manhattan until 1923. After service in the U.S. Navy immediately after the end of World War I, he returned to New York and eventually made his way into show business. He had an office job at a film company; tried screenwriting, direction, and production; and worked as a stage manager. Then he started acting, plays led to movies, and now the American Film Institute has named him the greatest male actor in the history of American cinema. Also see his biography in Modern Drunkard magazine. It quotes him from 1950 — "If everyone in the world would take three drinks, we would have no trouble. If Stalin, Truman and everybody else in the world had three drinks right now, we'd all loosen up and we wouldn't need the United Nations." Bogart's family had a Dutch background like that of the city of New York itself. 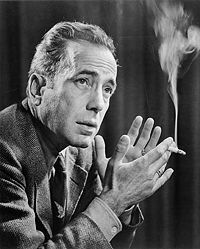 The family name Bogart comes from the Dutch name Bogaert, which is derived from the Dutch word for "orchard", boomgaard or bogaard. His father, Belmont, was a cardiopulmonary surgeon with his office was on the ground floor, a few steps down from the sidewalk. His mother, Maud, was a commercial illustrator. She was financially more successful than her husband, by far, and the family had a very nice home on the Upper West Side of Manhattan along with a home on Canadaigua Lake in upstate New York. The lake cottage included a working farm of 55 acres and a dock with a sailboat. His mother had studied art in New York and France, including some time studying under James McNeill Whistler. She became art director of a fashion magazine and did commercail artwork for advertising. As a baby, Bogart was the model for an advertising campaign for Mellins Baby Food. This led to the common urban legend that he's the Gerber Baby. 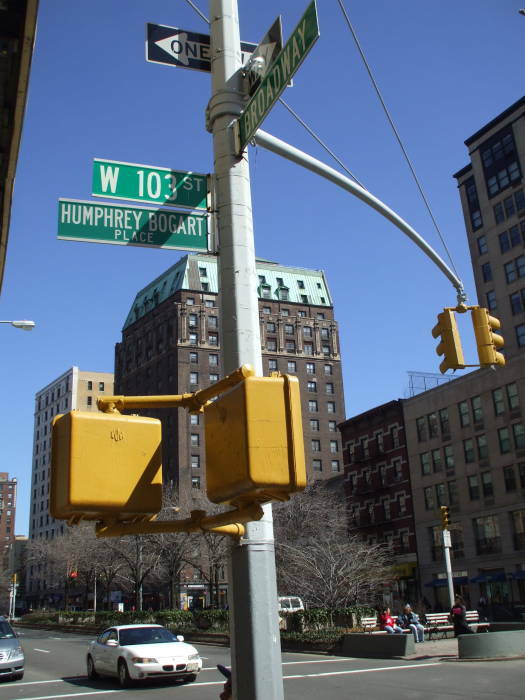 They sent Humphrey to the private Delancey School until fifth grade, and then to the Trinity School. Located on West 91st Street between Amsterdam and Columbus, near the family's home, Trinity was then and still remains an elite college prepatory school routinely ranking in the top three or so in the U.S. It's the oldest K-12 school in New York and the fifth oldest in the U.S. He later went to the Phillips Academy in Andover, Massachusetts, north of Boston. It's a boarding school for grades 9-12, of similar prestige and national ranking. He was expelled in his senior year, allegedly for throwing a groundkeeper into a pond, or maybe it was for the smoking, drinking, poor grades, and bad attitude. For whatever reason, his explusion wrecked his parents' plans for his further education at Yale University. Humphrey Bogart, U.S. Navy Seaman #1123062. He returned home in the spring of 1918, and soon joined the US Navy. He later described his decision as, "At eighteen war was great stuff. Paris! French girls! Hot damn!" He signed up at the receiving ship USS Granite State in New York. He was sent to the Pelham Park Naval Reserve Training Station. This base on Rodman's Neck in the Bronx was active in 1917-1919 with up to 4,777 sailors on base. He left the training station with a coxswain rating, and was ordered to the USS Leviathan (SP-1326), the largest American troopship. He reported there on 27 November 1918, over two weeks after the armistice ending the war. The USS Leviathan had been built in 1913 in Hamburg for the Germany navy, christened the Vaterland. It was at Hoboken, New Jersey, when the U.S. entered the war on 6 April 1917, and the U.S. Shipping Board seized the now-enemy vessel and turned it over to the U.S. Navy. The Navy commissioned and renamed the ship in September 1917, and put it into service as a troop transport. Over the following 14 months until the end of the war, the USS Leviathan made ten round trips across the Atlantic Ocean and back, carrying over 119,000 troops between Hoboken, Brest in western France, and Liverpool on the west coast of England. In February 1919 Bogart was transferred to another transport, the USS Santa Olivia (SP-3125). He was honorably discharged from the Navy in June of 1919 at the rank of Seaman Second Class and with above-average or better performance reports. His parents tried to get him into various businesses including a Wall Street brokerage, but none of these suited his temperment. He worked as a shipper and a bond salesman, and joined the Naval Reserve. Contact with a boyhood friend got him an office job at World Films, where he tried but did not succeed at screen writing, directing, and production. He did some stage management, and first appeared on stage in 1921. He was in seventeen Broadway productions between 1922 and 1935. He had an untitled part in the movie Life in 1920. He had his first credited role ten years later in Up the River in 1930. He was in 77 feature movies altogether. His childhood home is easy to find, just a half-block from the 103rd Street station of the #1 MTA line. Let's take a look! The large ornate building on the southwest corner was built as the Hotel Marseille in 1905. It is now a retirement home, but it was a nice residential hotel when the Bogarts lived in the center of the block beyond and across from the hotel. It was the permanent home of Sara Delano Roosevelt, the mother of Franklin. 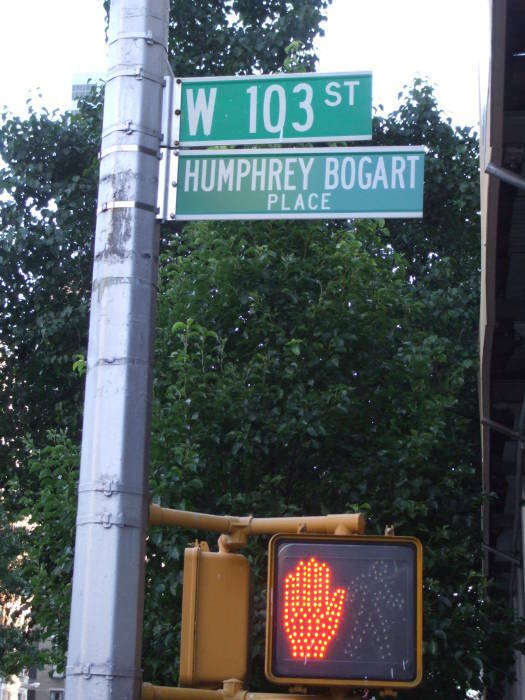 The first block of 103rd Street west of Broadway has been ceremonially renamed as "Humphrey Bogart Place". 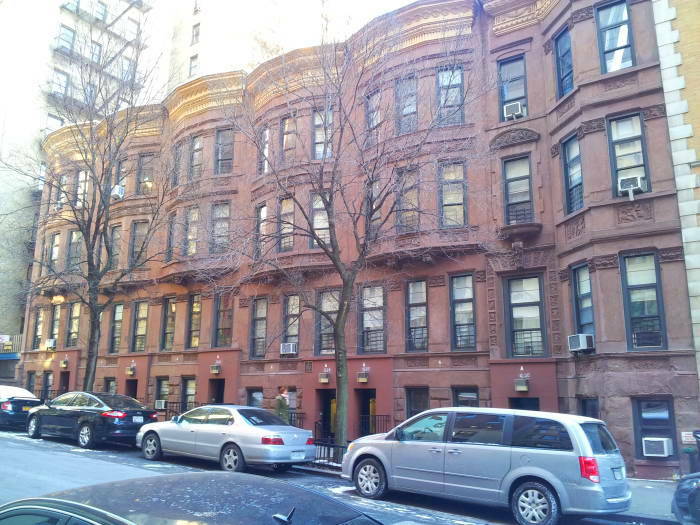 The Bogart family home is one of a row of brownstones on the north side of West 103rd Street, in the block just west of Broadway. A plaque above the door shows which one it is. 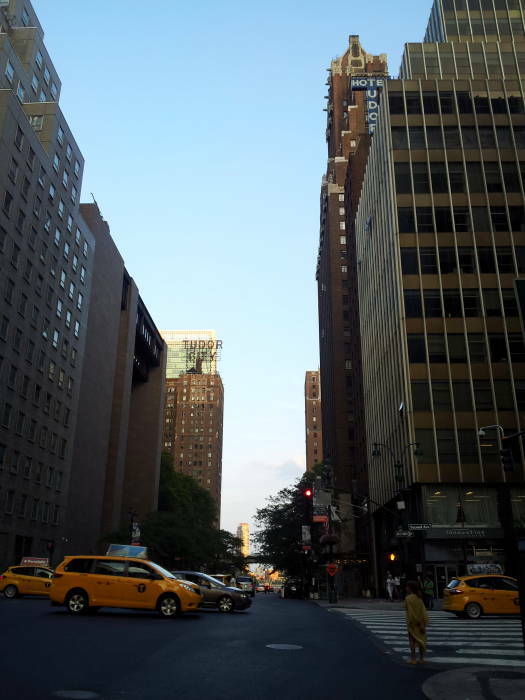 103rd Street is narrow, lined with tall buildings and trees. It's difficult to get good pictures of his home as it's in shadow so much of the time and you have to shoot it at an angle or very close! It's a nice neighborhood. Here are some views from their side of the street showing older homes along the south side of West 103rd Street. The third picture here shows the view from the Bogart home looking down and across Broadway. 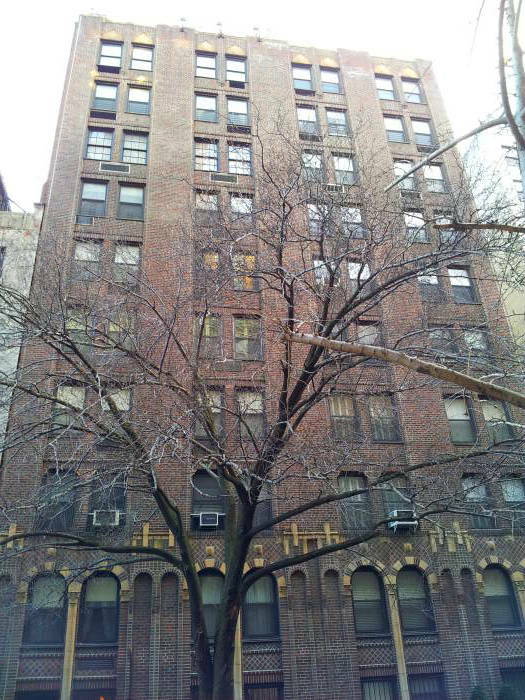 The Bogart family moved to 79 East 56th Street in 1925, staying there until 1931. Their home was next to the Drake Hotel, which had been built in 1926. 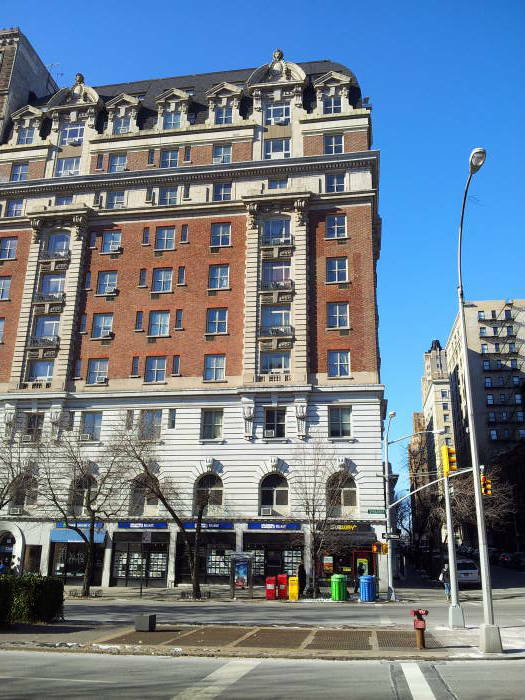 The hotel was a 21-floor structure with 495 rooms, boasting "automatic refrigeration" in the 1920s while many high-end apartment buildings in Manhattan today still have windows half-filled with air conditioning units. The Drake Hotel was sold in 2006 and demolished the following year. 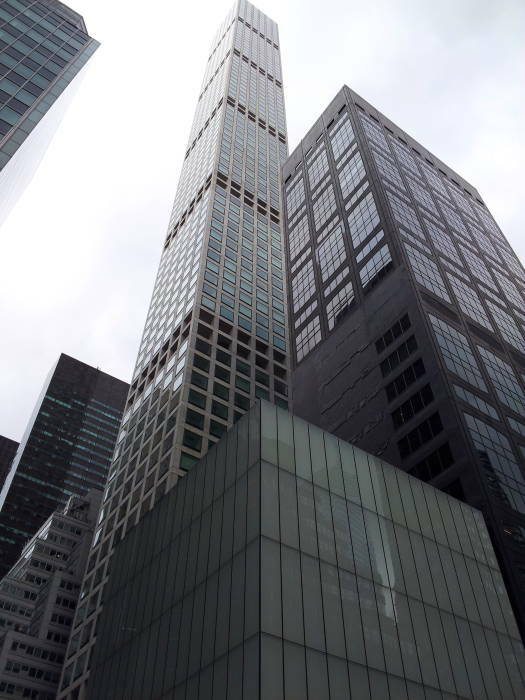 432 Park Avenue was built in its place, opening in 2015 as the second tallest building in New York City, the third tallest in the United States, and the tallest residential building in the Western Hemisphere. Building heights typically include masts, spires, antennas, etc. If measured by roof height, 432 Park Avenue is the tallest building in New York City by 8.5 meters and second only to the Willis Tower (formerly the Sears Tower) in Chicago for tallest building in the U.S.
432 Park Avenue has 88 floors above ground, with the top occupied floor at 392.1 meters or 1,286 feet, and the roof at 425.5 meters or 1,396 feet. Its footprint is about 3,100 square meters or 33,000 square feet, so just about 56 meters or 182 feet on a side, making it an extremely narrow building for its height. Each floor has six 100-square-foot windows per face. The building's condominium units range from a studio of 32.6 square meters or 351 square feet to a penthouse with six bedrooms, seven bathrooms, a library, and more, which goes for $95 million. 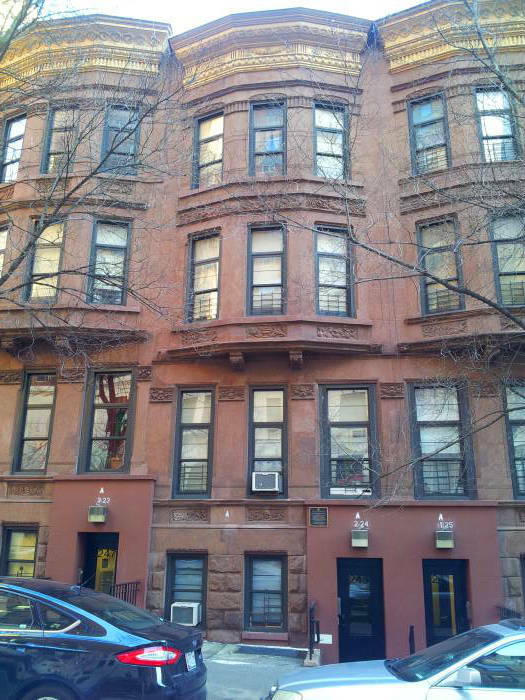 Bogard and his first wife, Helen Merken, lived at 43 East 25th Street in 1926–1927. 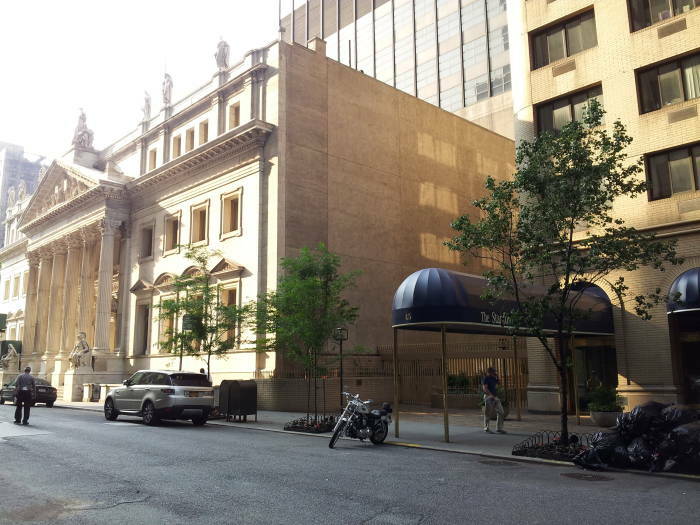 It's just off Madison Square Park, between Madison Avenue, the east side of that park, and Park Avenue. The building is gone, there is an empty courtyard between the elaborate court building and "The Stanford", a 42-story tower with apartments and condominiums. 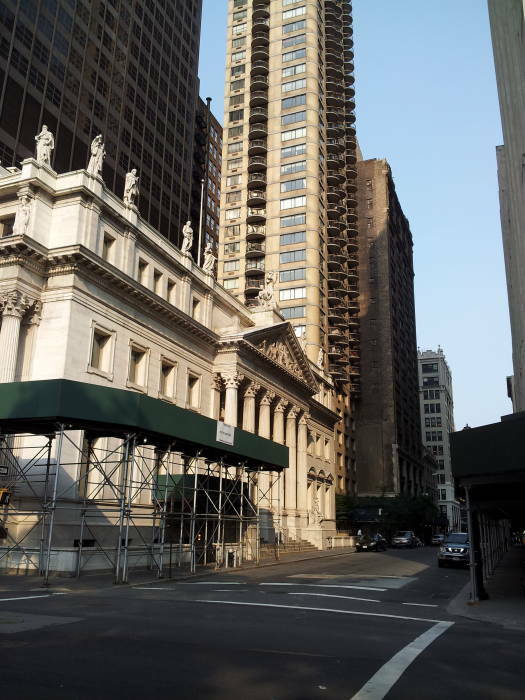 The historic building is the Appellate Division Courthouse of New York State, First Department. Building plans were approved in June 1896 and the court took possession on January 2, 1900. About 25% of the cost went to sculpture featuring subjects related to law. Single standing figures along the roof include Confucius, Moses, Zoroaster, Solon, Justinian, and others. Allegorical murals are inside. 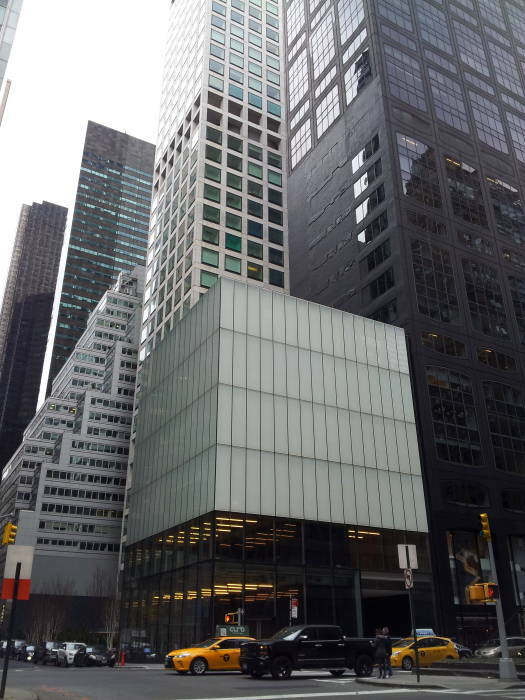 The exterior was designated a New York City landmark in 1966, the interior in1981. 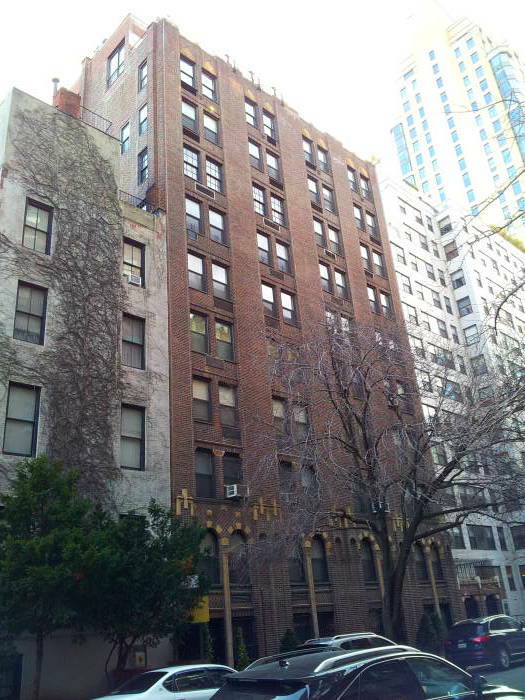 Belmont and Maude lived in separate rooms in the vast Tudor City apartment complex on the east side. 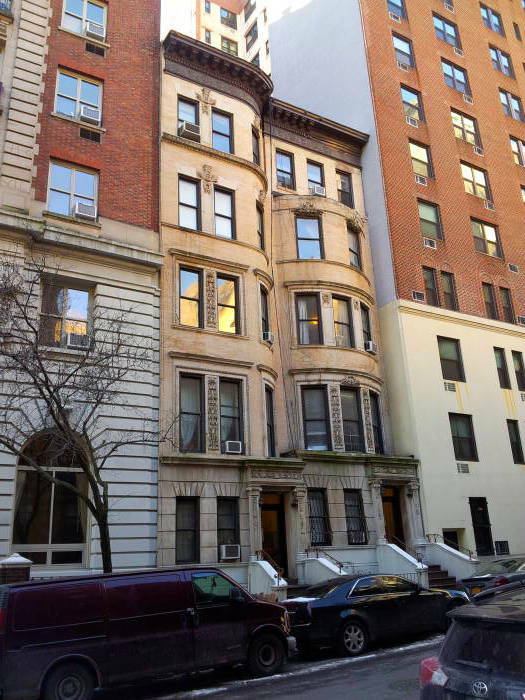 Bogart lived at 434 East 52nd Street, in its last block east of 1st Avenue. He lived here in 1932-1935 with Mary Phillips, his second wife. 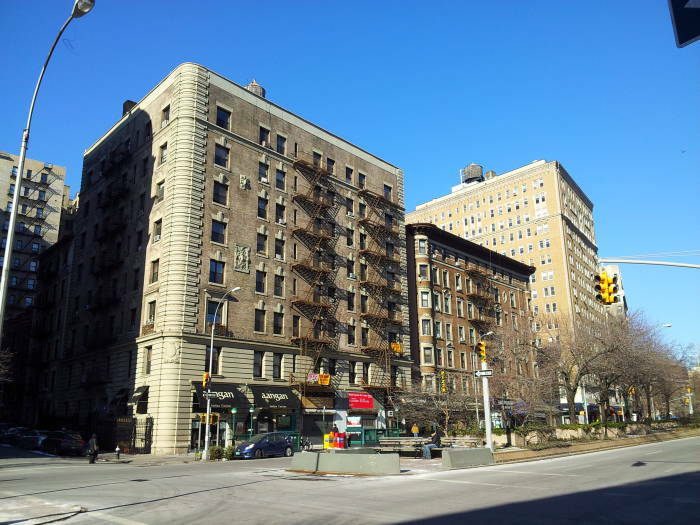 The south side of that block contains a cluster of Art Deco apartment buildings called Southgate, built in 1928-1931. Bogart's home was in the first one finished. East 52nd Street dead-ends just a little east of #434, and the block is the subject of the 1937 film Dead End in which he starred. The film and the 1935 play on which it was based was based on the wealthy and poor living together on the East Side of Manhattan. The "Dead End Kids", also referred to as the East Side Kids, the Bowery Boys, and the Little Tough Guys, went on to make 89 Hollywood films. 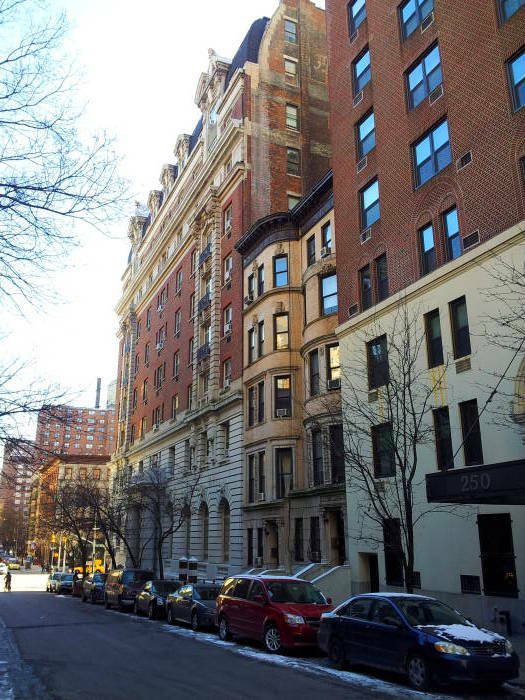 When Humphrey Bogart lived here, 52nd Street simply ended at a bluff overlooking the river from above the East River Drive. The East River Drive was started in 1934 with the section from 92nd Street to 125th Street. 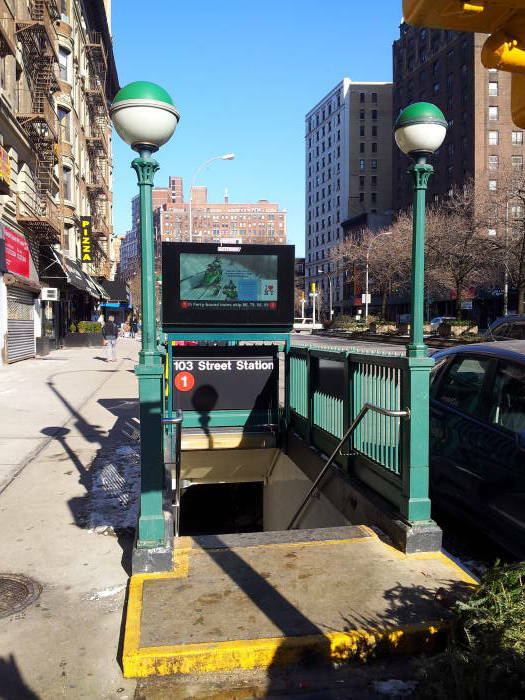 The section from 49th Street to 92nd Street was opened in 1942. After Roosevelt's death in 1945, the road was renamed for him. Reconstruction between 1948 and 1966 converted it into the full parkway that it is today, almost all of it with three lanes in each direction. With the construction of the United Nations headquarters in 1952, the FDR Drive runs inside a mostly enclosed tunnel. From 51st Street to 63rd Street, still within the tunnel, the southbound roadway runs above the northbound. 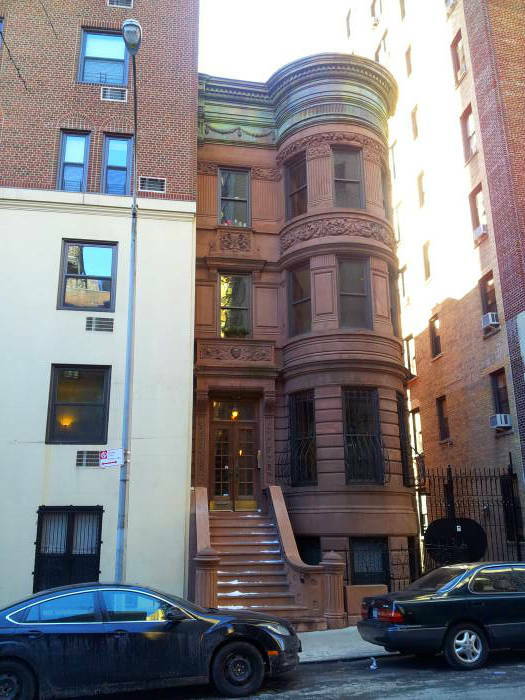 This was Humphrey Bogart's last New York home. His starring role in the Broadway play The Petrified Forest, led to movie roles, and in 1936 he moved to Los Angeles. 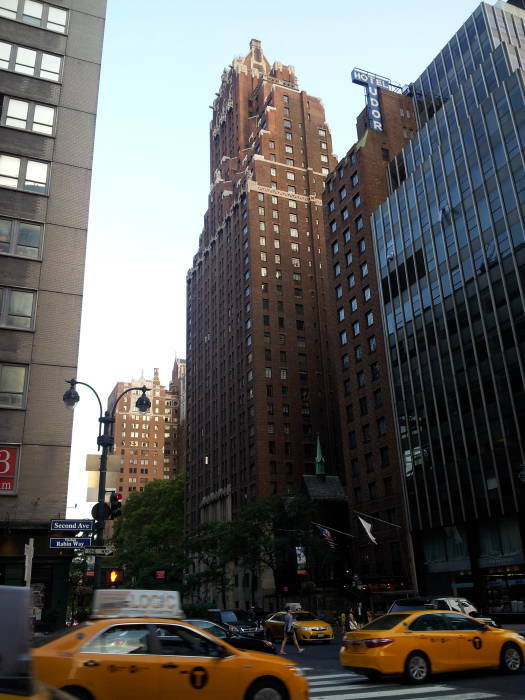 If you're interested in movie related sights in New York, check out the "Ghostbusters" locations, including some at Columbia University, just up Broadway from Bogie's home. Also see the inspiration for MacLaren's Bar in "How I Met Your Mother", a situation comedy with nested narrative flashback like in Bogie's "Passage from Marseille".